Collin Kartchner didn’t set out to be an expert on cyberbullying. He was a full-time video producer who posted satirical sketches on Instagram, where he has a big following. But in 2016, the Utah man ran into an old friend. Her name was Roxanne. He asked about her daughter, Whitney, whom he had known when she was a child. Tragically, Roxanne said Whitney, at age 23, had committed suicide. Sadly, Kartchner learned, Whitney had become heavily involved in social media, which her mother blamed for her death. Kartchner felt he needed to do what he could to prevent similar tragedies. Kartchner decided to use his own social media platform – he has nearly 100,000 Instagram followers – to warn teens and their parents about the dangers of cyberbullying and social media addiction. He created the hashtag #SaveTheKids to amplify his message. He produced videos aimed at teens and adults, and began to speak to audiences around the country. It is that campaign that brought him to Denair on Tuesday. Start sharing more authenticity and positivity. Show others it is OK to be real. Don’t participate in any kind of cyberbullying. Cut it off when you see it. He emphasizes to teens that what they read and see on social media often does not reflect reality. One of his main messages is that parents and their children must reconnect. Kartchner held a separate meeting just for parents Tuesday afternoon at Denair Middle School. And he spent lunch talking about social media with Denair Superintendent Terry Metzger, school administrators from Hilmar and Keyes, officials from Sierra Vista Children and Family Services and Legacy Health Endowment, and about two dozen other adults. 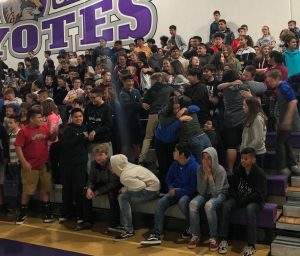 “My big takeaways,” said Metzger, “were that he stressed the need to help build empathy in students, how we can empower students to use social media to share positive messages and how can we help parents. 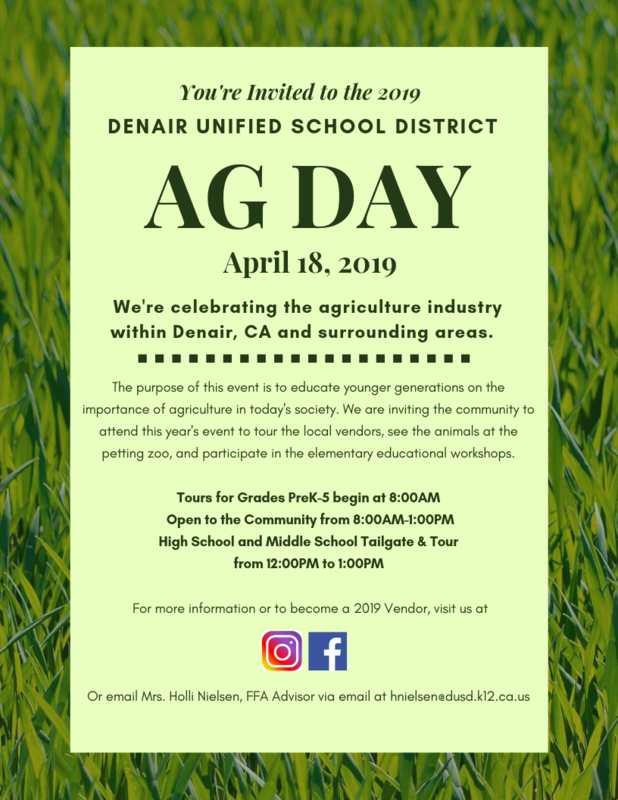 If you have reason to be on a Denair Unified School District campus Thursday or attend the monthly school board meeting that night, you may notice many teachers, administrators and staff members wearing red. No, the Coyotes have not changed from their traditional purple to a new color. Instead, red reflects a local one-day public effort called “Red for Ed” to call attention to a campaign driven by multiple unions, the California School Boards Association and the Association of California School Administrators highlighting the chronic lack of funding for schools in the state. Red for Ed is one way for educators to galvanize public attention on a problem affecting almost every school in the state. California spends an average of $10,291 per student per year, nearly $2,000 less than the national average ($12,252). Class sizes average 22.1 students, well more than the national average (15.4). And in California there are 11 students per staff member, three more than the national average. In California, there currently is a push at the state level to increase school funding to the national average by 2020 and to the average of the top 10 states by 2025. Thursday’s Red for Ed display has the support of the DUSD board and administration as well as the Denair Unified Teachers Association and local members of the California School Employees Association.